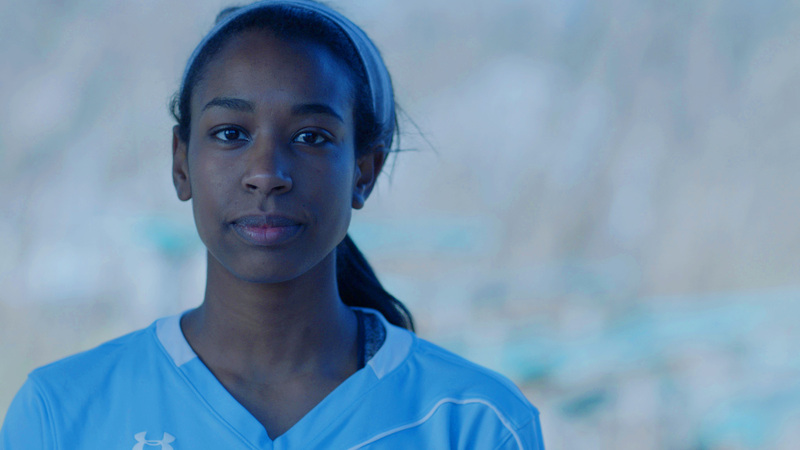 "When I Play," espnW's women-created and produced short film gives voice to every woman and girl who sees their movement as a movement. espnW's women-created and produced short film gives voice to every woman and girl who sees their movement as a movement. Women across nations are still told in myriad ways, spoken and not, that we should not "play." We are warned not to get dirty in the schoolyard. We are advised to "act like a lady," or "dress like a woman." We are chided when our bodies become "too big" or "too strong." We continue to have to fight for the right of women's athletic programs to exist and for our female champions to earn equal pay. Too often we are silenced, even on the Senate floor. "When I Play" is a film that directly and unapologetically celebrates who we are, what we want to be, why our visibility matters, and gives voice to women and girls who see their athleticism as a way to reclaim themselves, to find themselves and to embrace their power. I wrote the poem that became our script, then hired an all-woman senior production team to make and edit the film. We cast real athletes, not actors, plucked from various gyms and sports venues in the cultural hotbed of Atlanta. All of the athletes volunteered, spurred on by the message of the poem, which resonated across demographics and sports disciplines. They said, often through tears, that the words made them feel "seen." The espnW team is beyond proud to deliver "When I Play" -- not only as a woman-produced film that captures the inspiration and strength of women athletes, but also as a rallying cry to women who know in their hearts that now, more than ever, movement is a movement.